A young mother has told of her shock when she was diagnosed with a rare condition just weeks before her wedding day. Sinéad Lowndes (29) is now waiting for a double organ transplant. She was diagnosed with Budd Chiari Syndrome, which leaves her prone to blood clots, last November. The syndrome affects approximately one in a million adults worldwide. She needs a liver and small bowel transplant and, as a double organ transplant cannot be done in Ireland, Sinéad is moving her young family to the UK as she awaits her operation. 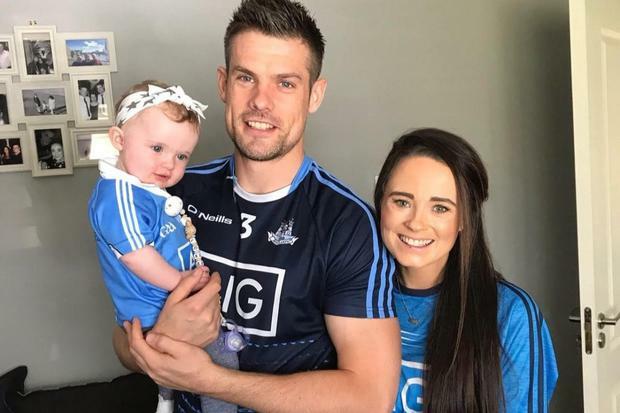 The Dublin woman, who has a daughter, Paige, said she visited her doctor in November after she had pains in her stomach and looked bloated. "It was a very, very big shock. I had a pain in my tummy and I was very bloated, I looked about six or seven months pregnant. My GP was fantastic and told me to go to A&E," she said. Sinéad was told by doctors she would need a liver transplant and postponed her wedding to husband Stuart until February. "We had to delay the wedding but that's only a very materialistic thing, we enjoyed our day and it was a great time but it was very ironic, as three days later, I had pains again," she said. A blood clot in her bowel was found and she was told she also needed a small bowel transplant. She is now relocating to Cambridge to await her transplant operations there. "There's a lack of bowel specialists here but there's no need for it here as it's so rare. "I want to highlight the importance of becoming an organ donor," she said. "There's always somebody worse off than you and seeing the people in the corridors here, everyone should think about becoming an organ donor." So far family and friends have raised more than €67,680 to help with her accommodation and medical costs.